February and March have brought little glimpses of sunshine into my life and my long-suffering family have been taken on picnics and many an outdoor adventure already. I just can't wait to get our tent out but I am being sensible and waiting until the temperature is at least 15 degrees before that happens. So instead I've been making plans for a summer to remember and this August we are heading to not one, but two festivals - Festival on the Wall in Northumberland and the Just So Festival in Cheshire. 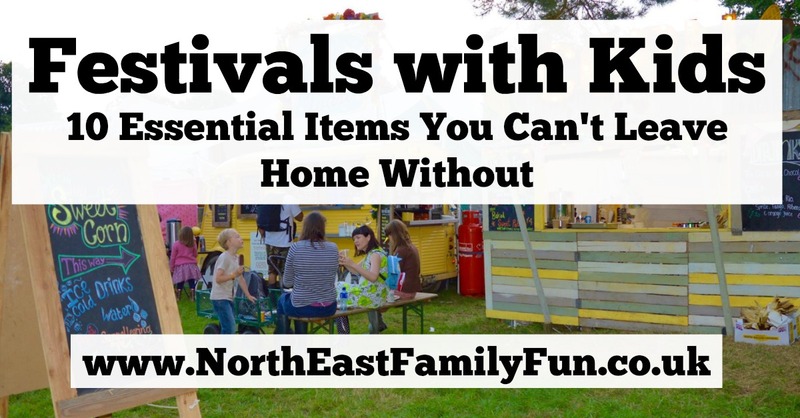 Both are fantastic festivals in the North and definitely worth checking out. Don't even consider heading to a festival without a rucksack. Even if you have nothing to carry, the kids will want you to carry their coat at some point, you need somewhere to pack snacks and water bottles and it is much easier having your essentials with you rather than having to head back to your tent when it starts to rain or the sun comes out. We usually get away with just one large rucksack between the 5 of us. 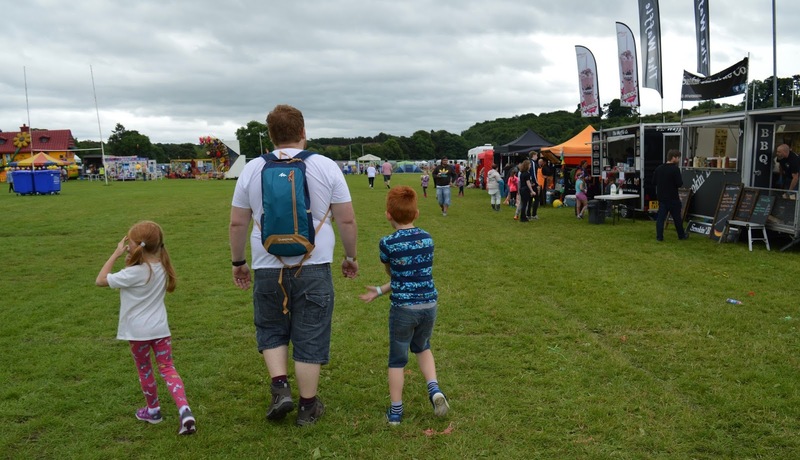 An obvious one but wipes are a real festival staple - hands will get muddy, faces will get covered in ice cream, wellies will need a wipe down, face paint will need removing before bed.........wipes can do all of this and more! The great British weather means that it is highly likely to rain at some point and waterproofs for all are a must. I think we've only been to one festival where there hasn't been a single drop of rain so please don't kid yourself that it won't happen - and don't listen to the weather forecast either. Just take a waterproof! Something light that will roll up into your rucksack is best. I like these Mountain Warehouse raincoats that are good quality, pack away and have pockets! Kids get tired walking around festivals and something to sit down on is essential. I would not recommend camping chairs as you'll get tired of carrying them around - I think a picnic blanket is much better. The ground is often muddy so a waterproof backing is a must. It doesn't need to be too big either as there often isn't much space at festivals. An alternative is to buy each child a folding sit mat (such as this one). They are much easier to pack away and waterproof too. One of the best things about festivals is the food on offer. I love it and the kids do too. From tasty pizza to lamb wraps and corn on the cobb (plus the odd Candy Floss) - trying out the various food stalls on offer is always a pleasure. 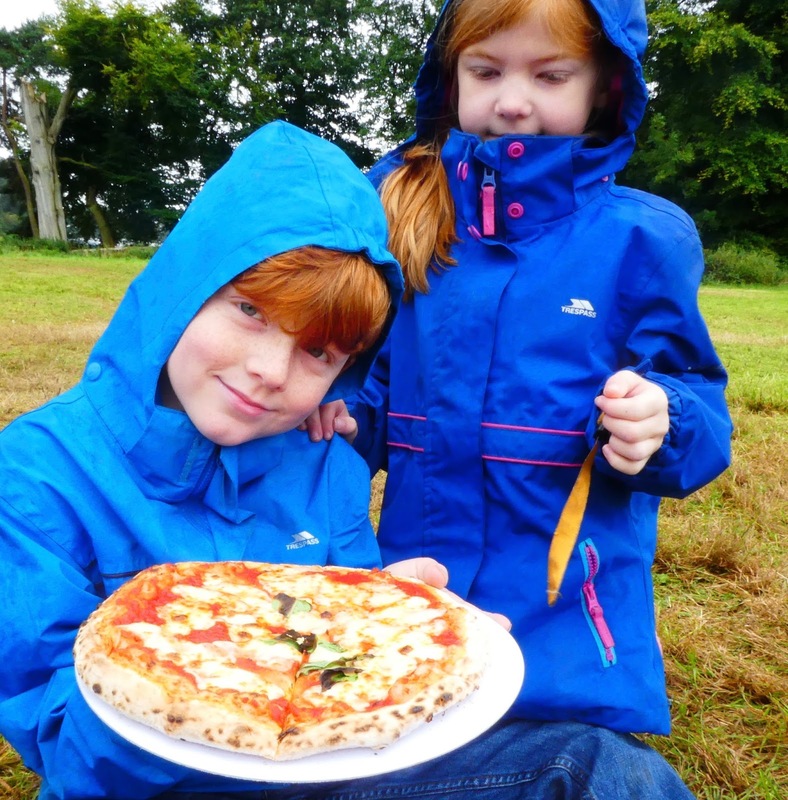 We will be purchasing our main meals from the various festival food stalls however if your children are anything like my three, they will be constantly asking for snacks and usually at the most inappropriate times (like when the headline act is about to start their set). You will need snacks and you'll need lots of them. Things like cereal bars, Soreen, raisins, jellies, individually wrapped cakes & breadsticks travel and pack well. Again, you just can't second-guess the British weather and suncream in the summer is a must. 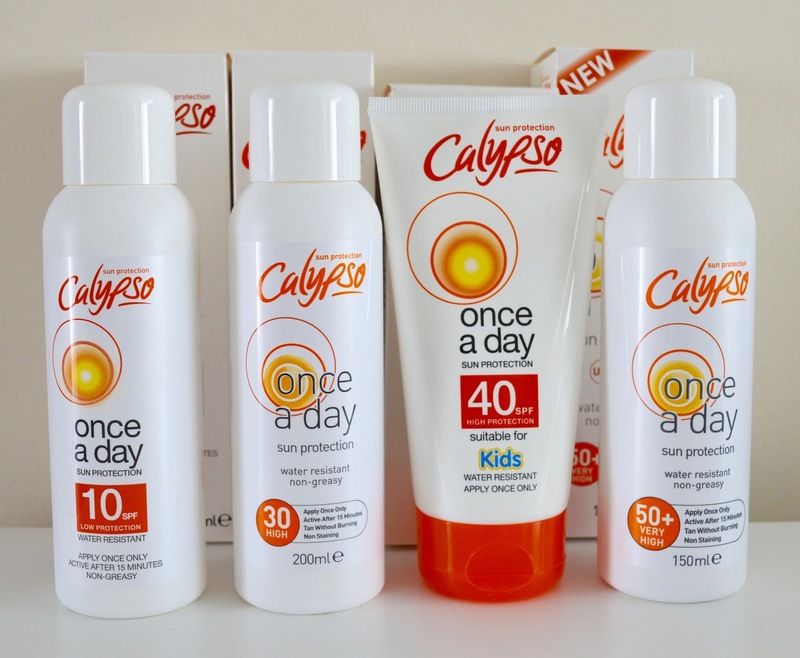 We use Calypso 'once a day' suncream in a high factor and apply before heading out for the day. The last thing we want to be doing is applying suncream when the kids are muddy/have their faces painted ect.....We apply it thoroughly and then don't need to worry for the rest of the day. Festivals are all about FUN. We do give our children a little bit of pocket money to spend on the various stalls but whatever they buy is guaranteed to not last the full festival. It's a good idea to have a few surprises packed away. My three are always delighted when I hand them a tube of bubbles as we're just sitting down to watch a band and I think it really adds to the atmosphere too. Likewise, face paint will always go down a treat, maybe you can create a family logo and all paint this on your faces - it's all part of the fun and the kids will love you getting involved too. Most festivals will provide free drinking water in the form of taps that you can just help yourself to. It's really important that children stay hydrated, especially in the summer so don't forget their water bottle which you can refill throughout the festival. 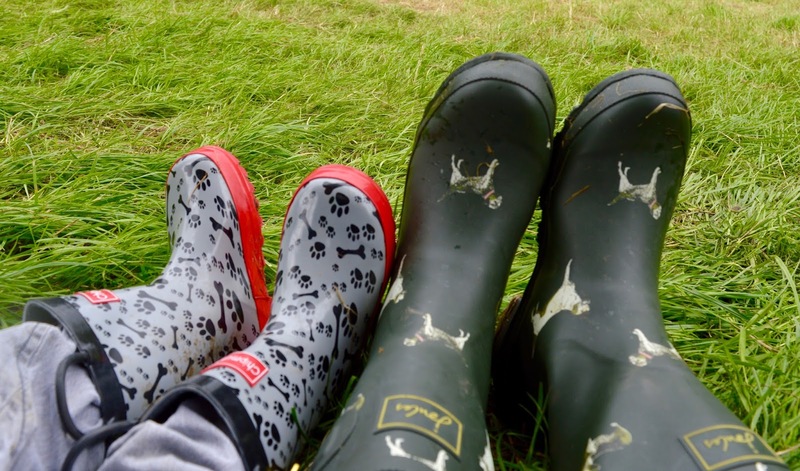 Whatever the weather, wellies are always my footwear of choice for the family. Festivals are held in fields and will be muddy. We pack slippers/warm socks for inside of our tent and leave our wellies just inside by the door to stop mud being dragged everywhere. You may have in your head that you're going to get into festival fashion and buy your family a whole new festival wardrobe with faux-fur and denim shorts. Take my advice and don't. The clothes will only get ruined. Think practically and dress your children in lightweight layers. Hoodies and fleece jackets are good for when the sun goes down and it starts to get a little chilly. Heidi usually wears printed leggings, a t-shirt and a hoodie and the boys wear jeans/jean shorts or 3/4 cargo pants, a t shirt and hoodie. If the weather is ok during the day, we leave our hoodies in our tent and collect just before the sun sets. Warm socks for bed are a must too! 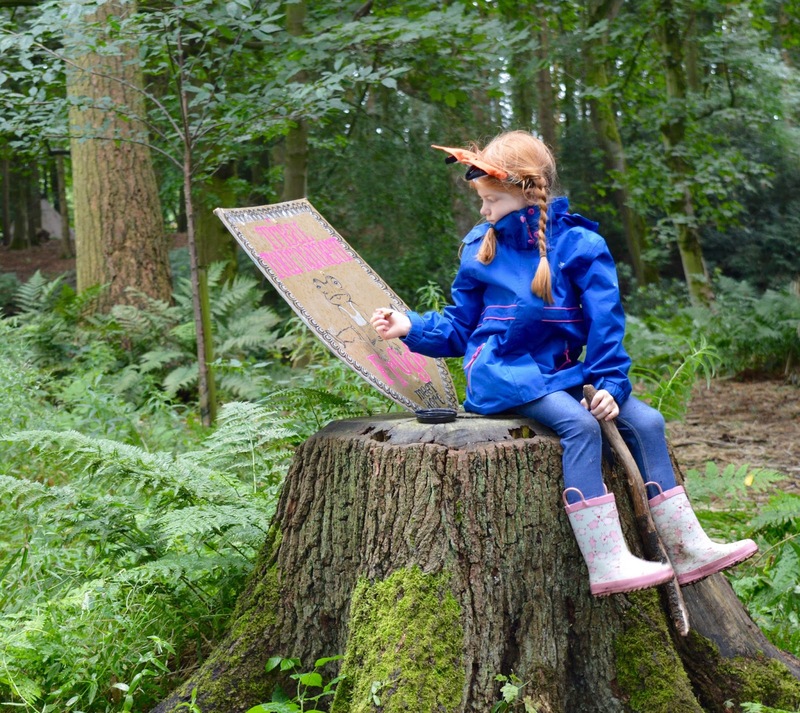 Follow North East Family Fun on Instagram to keep up with our festival adventures this summer. Let me know what your festival essetials are and if I've missed anything from my list. Ahh happy Just so festival memories there! That corn on the cob was immense! A bin bag works as good for a mat though not as stylish! Waterproofs are a must!! OMG - I just take my kids to the loo in the dark. I couldn't stand weeing in a cup! haha! Fab list. Wellies and wipes are such a must aren't they? Mine all get so mucky...even without trying and somehow they're like magnets for all sorts!